Listen to Chuck Swindoll’s overview of First Timothy in his audio message from the Classic series God’s Masterwork. 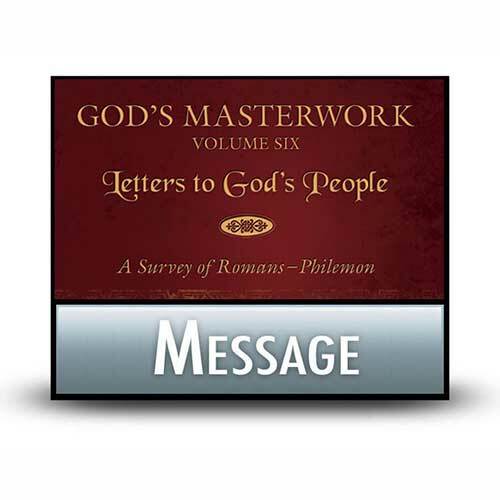 The first of Paul’s final series of letters—which along with 2 Timothy and Titus are called the Pastoral Epistles—1 Timothy offers practical and pastoral advice from the aging apostle Paul to a young pastor named Timothy working in the church at Ephesus. More than a decade prior to writing this letter, Paul had first met Timothy in the city of Lystra—in Asia Minor—where Timothy was known and respected by the Christians (Acts 16:1–4). Upon recognizing Timothy’s impressive qualities, Paul recruited the young man to travel with him as he continued his second missionary journey. The presence of Timothy would have met an important need for Paul, their friendship coming on the heels of Paul’s split with his close friend and partner in missions, Barnabas (15:36–41). The Bible’s silence on the ultimate fate of Paul has engendered a great deal of debate in modern times. The book of Acts ends with Paul sitting in a Roman prison awaiting his hearing before the Roman emperor, a privilege of appeal that all Roman citizens possessed. However, the writing of the Pastoral Epistles clearly dates to a time after the events of Acts. So where was Paul when he wrote 1 Timothy? Paul had expected the Romans to release him from prison, something that likely happened near the end of AD 62 (Philippians 2:24). His release allowed him the opportunity to travel to Ephesus and eventually place Timothy in ministry at that church. Paul then went on to preach in Macedonia, where he heard reports of Timothy’s work at Ephesus that prompted him to write 1 Timothy, probably in AD 63. Why is First Timothy so important? 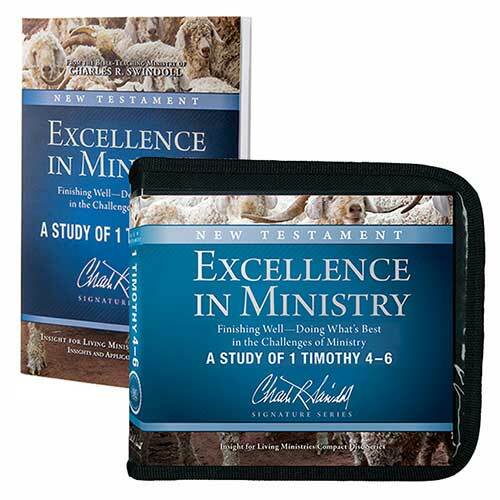 First Timothy presents the most explicit and complete instructions for church leadership and organization in the entire Bible. This includes sections on appropriate conduct in worship gatherings, the qualifications of elders and deacons, and the proper order of church discipline. Paul advised Timothy on these practical matters in a way that would have helped the young pastor to emphasize the purity that should characterize Christian leaders and the gatherings they oversee. Timothy’s youth no doubt served him well, allowing for the energy and vigor he needed to serve his people. However, it also caused inevitable difficulties with older Christians who may not have taken quickly to the leadership of such a young man because of his lack of knowledge and experience in leadership. It was important to Paul that Timothy set an example of consistent faith and a good conscience, remaining above reproach and exercising the spiritual gifts that God had given him (1 Timothy 4:12–16). However, Paul knew that such a task would not be easy for the young man. Therefore, on two occasions Paul encouraged Timothy to “fight the good fight” (1:18; 6:12). Perseverance in what was good often became a slog for Timothy, one that required thick skin and a clear purpose. The leaders of our churches fill important roles as they participate in encouraging the spiritual growth of Christians under their care. We know the significance of these men in our churches and in our personal lives, but 1 Timothy helps us to gain a clearer understanding of the proper qualifications and roles for church leaders. Paul’s letter shows us those things he hoped Timothy would address in his ministry, providing a template of sorts that our leaders can follow in their own ministries. How do your leaders implement Paul’s exhortations in 1 Timothy? Our churches will be strongest when they are closest to the biblical vision laid out for them. As you look at your church or look for a new one, consider the priorities of the leaders. Look for an emphasis on sound doctrine, on purity within the leaders’ personal lives, and on living out the Christian faith by example. Find those qualities, and you will more than likely find a church where you can thrive. 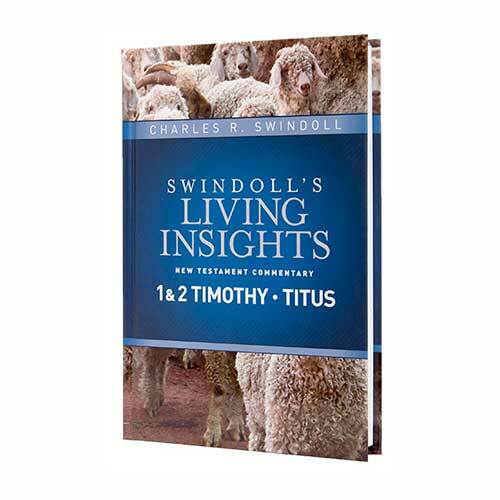 View Chuck Swindoll's chart of First Timothy, which divides the book into major sections and highlights themes and key verses. 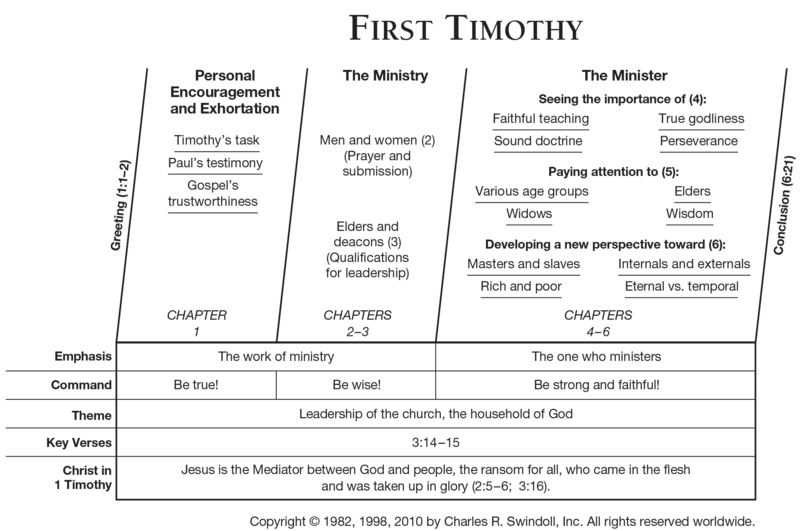 Discover more resources related to First Timothy.